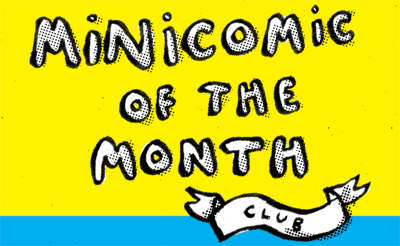 I've been a subscriber for the past two years to the Smaller Comics Mini-Comics of the Month Club, which sends me mini-comics for about $3 apiece all the way from the other size of the world, primarily Australia. It's a great way to see what kinds of comics are out there in places where I may never reach, let alone go to a comics show. I've promoted it every year, and I'm sure I'll do so again in 2014, subscribing myself as long as I my move doesn't leave me financially pinned. So in terms of giving me something different to sample, it's been great. But are the comics themselves any good? As with any subscription, whether it's Fantasy and Science Fiction or Wine of the Month, opinions will vary, and what's worked for me might not work for you. However, overall, I've been happy with what I've gotten, both in 2012 and 2013. Not all of them are keepers or re-reads, but that's okay. For this post, I'm pulling out three examples that will give you a pretty good idea of what kinds of comics you might expect from the series, when it opens again in 2014. If these sound interesting to you, then save up and get ready for when Smaller makes an announcement. I've really liked being a part of the service, and I think most regular readers of Panel Patter would be, too. These comics are in no particular order, by the way. 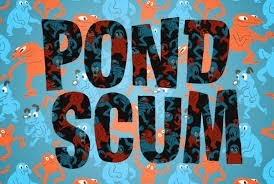 Pond Scum by Neil Sanders is a (nearly) wordless comic that features increasingly strange creatures struggle to stay alive while shedding skins and running about in and around a small body of water. While there is a narrative to the whole thing, the real fun is viewing Sanders' characters, who look like a demented cross between Jake from Adventure Time and Dr. Zoidberg and at one point include an animated skeleton that's mostly just a giant skull with tiny legs. Drawn mostly in thin lines, with lots of white and black space used to give depth to the art, this one was a lot of fun to read and watch it build to a ridiculous climax. Looking at Sanders' Tumblr, it's clear he likes to play with shapes, and that's very much in the mix of this playful mini-comic. 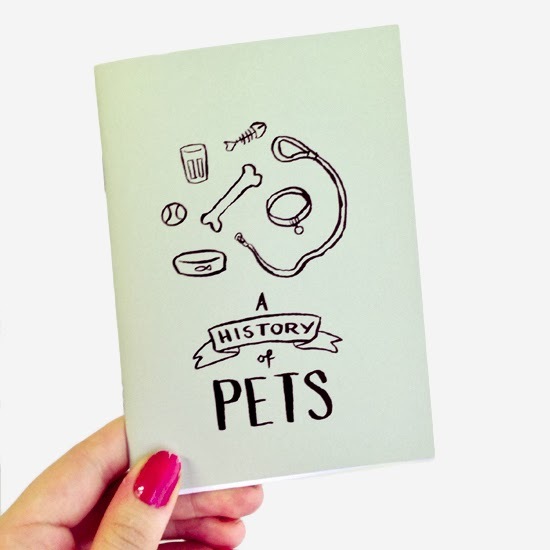 A History of Pets by Rebecca Hayes was part of the original series of mini-comics, coming to me in May 2013. It is exactly what its title implies, being a chronicle of the little creatures that Rebecca has had as pets. Starting with a pet rat and moving on to a dog that didn't like costumes nearly as much as his namesake and continuing until we reach Rooster, a dog that might need to learn to love costumes. Working quickly with little space, not unlike the Oily Comics from Chuck Forsman and others, Hayes packs as much as she can into the small space, doing a great job of making her animals expressive and the situations funny, whether it's adding a rat to a party or showing just how much a cat dislikes Instagram. This one is cute and fun and a really good way to hook people on Hayes' other works, which you can find at her website. These mini-comics have been great fun to read, and I look forward to more as we move into 2014. No matter what the country, the mini-comics genre is alive, well, and varied, as these samples show.